It is hardly a coincidence that it is music that starts one off in his stroll down memory lane in search of Professor Banerjee. Amongst the many legends that will surround his name in the years to come, music probably will occupy pride of place. No student or friend who had ever come within his close periphery could have escaped being treated to the vast treasure house of classical music he built during his life. One recalls countless evenings when he would play recorded private performances of Vilayet Khan or Amir Khan on his music system for the entertainment of his visitors and relate anecdotes about great musicians in general, involving their amusing angularities as well as awesome genius. Yet, Dipak Babu was primarily an economist who spent his entire career teaching undergraduates at Presidency College, Kolkata. And it is precisely here that mere words fail to construct the links that unify the diversity constituting a given human being, He joined the Department of Economics in the late fifties when he was freshly back from the London School of Economics with a glorious performance record and was one of the many stalwarts who adorned the college during those days. The leading personality at the time was Professor Bhabatosh Datta of course, a remarkable teacher endowed with a prophetic vision. It was mainly he who had assembled the glittering collection of young academics around him. Dipak Babu was one of them, but Professor Tapas Majumdar, Professor Nabendu Sen, Professor Sukhamoy Chakravarty, Professor Mihir Rakkhit, Professor Amiya Bagchi and many others stood out also. There is little doubt though that Dipak Babu was the most charismatic of them all. Like the rest of his colleagues, he was a dedicated and a demanding teacher. In this connection, what distinguished him most from the others was his immaculate British accent. I am not competent enough to judge which part of the United Kingdom his accent owed its origin, but there is little doubt in my mind that it was as authentic as one could get. Unfortunately though, for the average student, freshly out of Bengali medium schools, it was somewhat challenging to follow his speech. Thus, quite invariably, he inspired fear in the hearts of many to begin with. Sooner or later though, the soft student loving person emerged in full view, and except for the few students who remained completely stubborn, he invariably ended up winning them over to his side. Professor Banerjee taught theory all his life and made his students appreciate the beauty of pure logical reasoning with examples from economics. It was not easy though to fall in line with his unflinching attachment to this method of argumentation. But once a student saw the point he had made, it was literally impossible to forget what he had implied. And the reason was that, despite his strict adherence to rigour, he tried to lay bare the basic structure of arguments in terms so simple that even school children might be able to grasp it easily. I recall in this context how he explained to me the difference between necessary and sufficient conditions. “When it rains”, he said, “the leaves begin to shake in the trees.” And then added, “The leaves could shake for other reasons too, so it is not necessary for them to shake only when it rains.” Perhaps others, with more logical minds, would not need matters to be explained in such an elementary manner. But I can certainly vouch that, after listening to this explanation, I never made a mistake in later life in distinguishing between a necessary and a sufficient condition. And while all these events were taking place and some of us were getting closer to the man, we were being introduced to the other facets of the man. 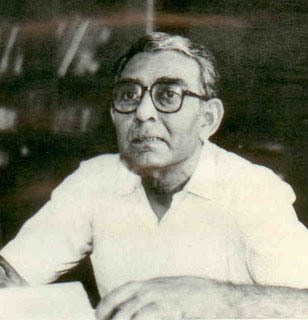 As I found out, he was enormously well read in English as well as Bengali literature and often suggested some work of fiction or the other, which I at least never failed to lay my hands on. He was also interested in History, but I never managed to access his knowledge house here, given that I was too ignorant about the subject and, more importantly, was even arrogant enough to believe that it was not particularly relevant for economic pursuits. By the time I realized my unforgivable error, it was somewhat late in life to start afresh. It has often been pointed out that Dipak Babu did not do much research. This, to say the least, is an unfair criticism of the man. First of all, he never left the confines of an undergraduate college, where teaching is supposed to receive priority. The latter responsibility he carried out with admirable efficiency. Secondly, as a part of the faculty attached to the Centre for Economic Studies, he produced a scholar, Professor Ramprasad Sengupta, who achieved international repute. And finally, Dipak Babu himself wrote a reasonably difficult paper on lexicographic ordering and published it in a front ranking journal. ** To the best of my knowledge, he did this last bit of work as a faculty at the London School, immediately prior to his visit to the University of California at Berkeley. He joined Presidency College a second time immediately after this, now as a full professor. Given the sharpness of his mind and varied interests, one wonders nonetheless why he remained attached to an undergraduate college all his life and did not seek a regular position in a research-oriented institution. It is hard to come up with an explanation that is absolutely satisfactory. However, I do think that there were two distinct reasons why he did not spend too much time on research. First, he was himself an uncompromising perfectionist. As is often the case with such persons, he was probably dissatisfied with anything that was not top class. Finding entry into this class was certainly not beyond his ability. But what stood in the way I think, and this is the second reason I alluded to above, was his love for the college itself and the students he taught there. Presidency College has had the tradition of attracting some of the best students from state of West Bengal and outside Bengal as well as India. Teaching them was a pleasure that he could not deny himself. There was a time allocation question therefore and he opted for teaching in favour of research. However, while he clung on to teaching all his life, his was a familiar face in all major conferences in Kolkata. He sat patiently through each and every paper, however abstruse, right till the time the serious nature of his illness restricted his mobility. The result of course was that he produced a continuous stream of internationally well-known students. The fact that he was held in high esteem by them requires no better proof than the publication a book in his honour. *** Four stalwarts whom Dipak Babu taught in the undergraduate class edited the book and they were Bhaskar Dutta, Shubhashis Gangopadhyay, Dilip Mookherjee and Debraj Ray. A large number of eminent scholars contributed to this collection, including Amitava Bose, Mukul Majumdar, Sugata Marjit, Tapan Mitra, Anjan Mukherji, Abhirup Sarkar and last but not least, Dipak Babu’s illustrious son Abhijit Vinayak Banerjee. The fact that these established researchers found it worth their while to create a volume exclusively in honour of Professor Banerjee goes to show only too clearly the opinion his students had of him, that these students, who have themselves risen so high in research, did not consider Professor Banerjee to be lacking in any way as far as original thinking went. Reminiscing about Dipak Babu invariably brings back to one’s mind yet another aspect of his interests – gastronomy. He loved good food and was extremely well informed about the right places to visit for each particular item one might wish to look for. When I was a young research scholar in Presidency College, he took pleasure in educating me about the joints to visit for a wide range of victuals, varying from soft Bengali sandesh adorned with rose petals to exotic Lucknow style kebabs. I was never as adventurous as he was, but nonetheless managed to visit a few of the restaurants and food shops he recommended. Needless to say, the experiences I had each time remain firmly etched in my memory. I recall in this connection an interesting comment he made to me quite recently. On my way back from trips outside India, I often made it a point to buy a bottle of Scotch for Dipak Babu, who, I was sure, enjoyed his drink. During one of my recent trips, I became somewhat more ambitious compared to my previous trips and picked up a bottle of Johnny Walker – Blue Label from a shelf in a duty free shop. When I did so, Dipak Babu loomed large in my mind and soon after I was back home, I made a beeline for his residence with the bottle. I hoped he would like the present I had brought him, but never expected to hear what he said about the way he thought a Blue Label was supposed to be consumed. “You don’t drink this”, he advised with a wink in his eye, “you lick it”. He wanted me to join him in the licking exercise right away, but not being a connoisseur, I had to decline the offer. Even if I had accepted his invitation, I doubt that I would have been able to live up to his standards concerning the modalities of Scotch drinking. And that, amongst others, was one important reason why I decided to beat a hasty retreat. I have little doubt that I had disappointed him as a student of economics, and I did not want my failures to extend to broader domains of life. Let me end up with anecdotes I have heard from my seniors about the way Dipak Babu survived during his initial years in England. He was exposed, we are told, to harsh realities of life as he worked in a variety of menial capacities in London and probably elsewhere too in the country. Some say he had carried heavy bags of coal on his shoulders in coalmines for meagre wages to keep his body and soul together. I have no idea about the veracity of many of these stories. But there was one that I had straight from the horse’s mouth. He told me that he had once been working in the kitchen of a well-known London restaurant, washing dishes mainly. While he was labouring at his job, an excited waitress came rushing in to announce that none other than Charles Chaplin was visiting the restaurant in the company of his wife (Oona Chaplin probably). This was a chance of a lifetime and Dipak Babu left his dishes in the sink and rushed to the kitchen door to have a close glimpse of the master. What he did not know at the time I felt was that a time would soon arrive when students from all across the city of Kolkata and elsewhere would be flocking around his office to have a glimpse of Dipak Babu himself. Those who have not had the good fortune of knowing him in his younger days would probably not appreciate the importance of this observation. I do not have the slightest hesitation in saying that he was the handsomest professor that Presidency College ever had. It was a treat to watch him walk into the college with his self-confident swagger, wearing his tweeds in winter. The swagger never left him. This was all too evident when he was mortally sick but refrained from complaining about his sufferings to his visitors. To the last day of his life, I believe that he retained his ability to enjoy a well-rendered “alap” in Hindustani classical music or an abstract argument in economics, while sipping leisurely his premium scotch, with Professor (Mrs.) Nirmala Banerjee, Mini-di to us, a wonderfully loving wife and a solid, life long companion, at his side. * The present obituary avoids biographical references to Professor Dipak Banerjee. These are adequately covered in the Preface to Economic Theory and Policy: Essays in Honour of Dipak Banerjee, ed. by Bhaskar Dutta et al , Oxford University Press, New Delhi, 1990. ** Choice and Order: Or First Things First, Economica, New Series, Volume 31, pp. 158 – 167, May, 1964. *** Dutta et al (1990) , op. cit.